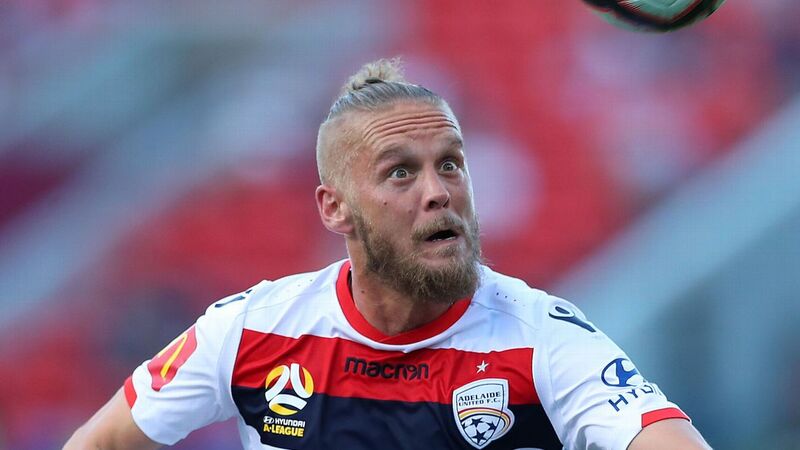 Adelaide United players have vowed to not get distracted by speculation their coach Marco Kurz is a target of A-League leaders Sydney FC. Kurz has been touted as a potential replacement for Graham Arnold when he departs the Sky Blues at season's end to become Socceroos boss. But Adelaide midfielder Daniel Adlung says Reds players must focus on their bid to make the finals rather than the future of Kurz. Adlung says the Sydney FC speculation isn't a surprise given the German coach's stellar first season at Adelaide. "That is normal because he did a good job here with a young team and a lot of the players are new, so it's always hard," Adlung told reporters on Tuesday. "We have to focus on now and not what happens in one month or in two months." Adlung is a Kurz signing who arrived in Adelaide from 1860 Munich in Germany, and said he such speculation was the norm. 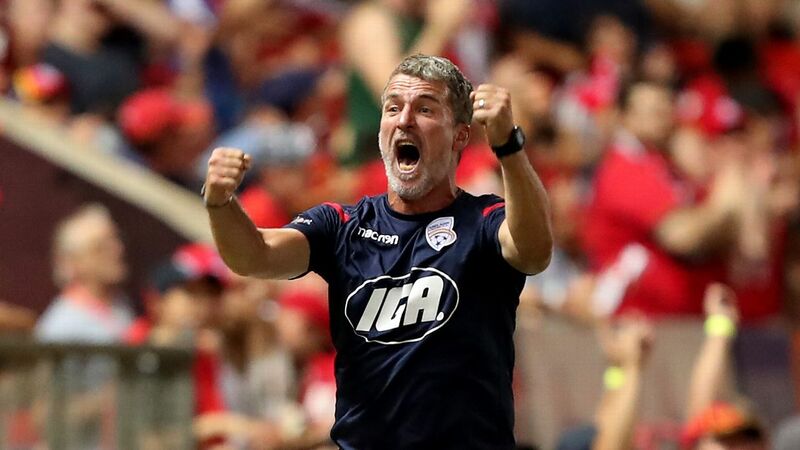 Marco Kurz has performed well in his first season as an A-League coach. "I really get used to it because in Munich, we get every four weeks a new coach," Adlung said. "I know that this can happen. We will see what happens in the future." 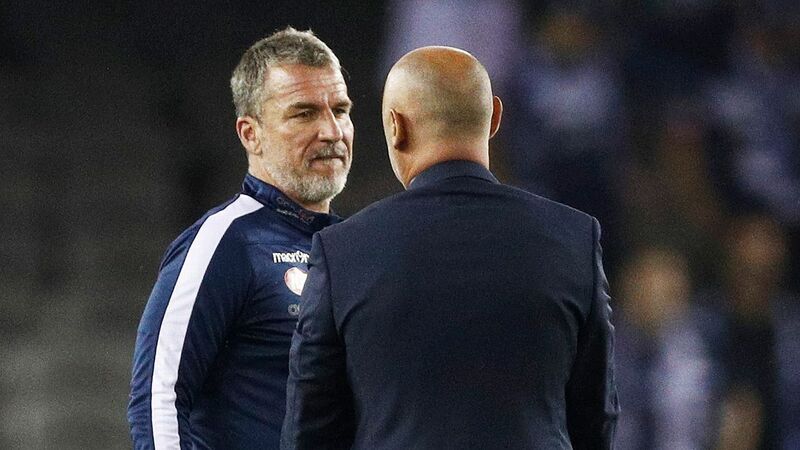 Kurz, a 48-year-old with coaching experience in the Bundesliga, has steered Adelaide to sixth spot in the A-League. And while still scrapping to secure a finals slot, Kurz has won plaudits for his moulding a largely inexperienced squad and overcoming a spate of injuries. Kurz's United were beaten in the FFA Cup final by Sydney FC, who are on the hunt to replace Arnold when he departs at the end of June. The Sky Blues hierarchy were also believed to have been further impressed by Kurz when United held the league pacesetters to a scoreless draw in January. Adelaide's team in that game featured 11 South Australian players -- six of them under 20 years old.